I know you like FREE scrap supplies, right? I'll show you layout samples in each of my blogs posts, and I invite you to try some of your own! 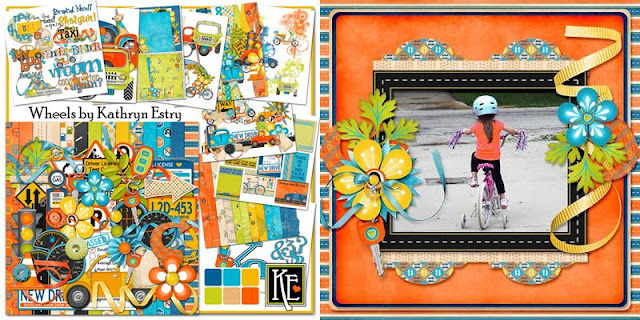 Post your layouts in my matching Challenge Thread, Scrapping with Kathryn from A to Z. Everyone who posts a layout in this month's thread will receive from me the prize I have posted with this month's challenge. To make it extra sweet, your layout can be about anything I've shown you in ANY of my A to Z challenges! Now, on to today's idea. 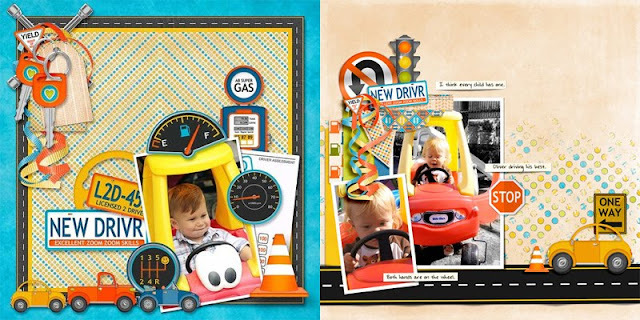 My Wheels Collection has lots of pieces for showing off your new car as well as your child's riding toys. See these fun examples of Go, Go! layouts by Kabra, Kathy, Lori, and Yvonne. 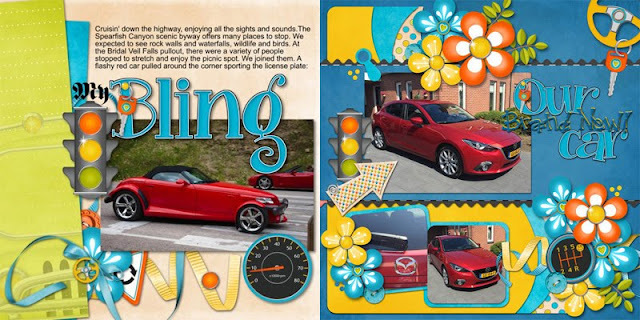 Remember to head over to my A to Z Challenge, check out the prize, and show me a layout with your favorite wheels!